There is nothing more beautiful then a sleeping child, except maybe a child sleeping under a crisp new organic cotton doona cover. Rosenberg has just released a new line of cot quilt sets that will have you swooning. The nursery bedding from this Copenhagen-based company boasts all the bells and whistles – environmentally friendly products, socially responsible manufacturing and fresh design. The prints combine the current bold geometric fashion with a softer pallet, perfect for trendy kids. My hands down favourite is the Rose triangular print. You could easily design a nursery around this fabric, but it is also subtle enough to blend in to any bedroom. The matching grey design came in a close second… oh, don’t make me choose! One of the things that struck me about this new range is how a lot of the quilt designs are available sized for cots and for single beds. I am picturing a very cute little shared bedroom with matching quilts. 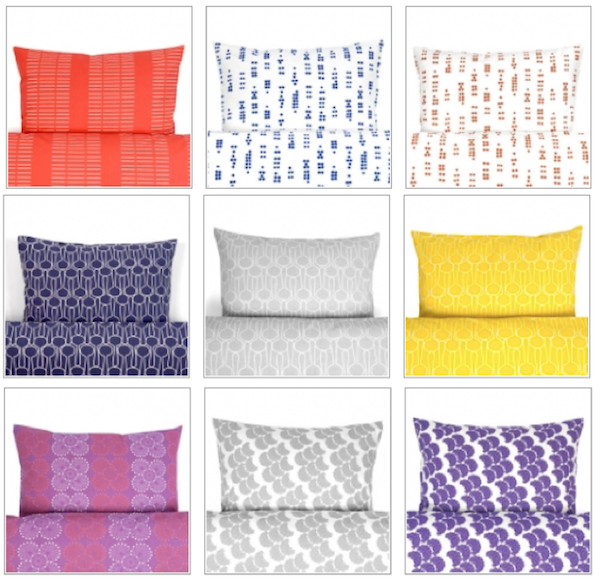 The new range is now available from Kido Store, a sheet set will set you back about $129 and shipping is free for all Australian orders over $150.